Probabilistic Matrix Factorization (PMF) is a popular technique for collaborative filtering (CF) in recommendation systems. The purpose of PMF is to find the latent factors for users and items by decomposing a user-item rating matrix. Most methods based on PMF suffer from data sparsity and result in poor latent representations of users and items. 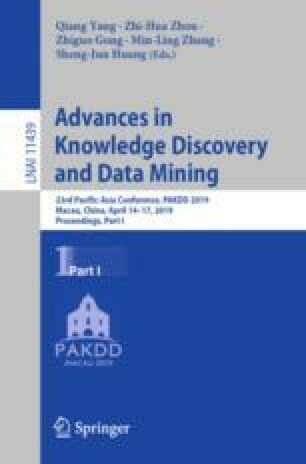 To alleviate this problem, we propose the neural variational matrix factorization (NVMF) model, a novel deep generative model that incorporates side information (features) of both users and items, to capture better latent representations of users and items for the task of CF recommendation. Our NVMF consists of two end-to-end variational autoencoder neural networks, namely user neural network and item neural network respectively, which are capable of learning complex nonlinear distributed representations of users and items through our proposed variational inference. We derive a Stochastic Gradient Variational Bayes (SGVB) algorithm to approximate the intractable posterior distributions. Experiments conducted on three publicly available datasets show that our NVMF significantly outperforms the state-of-the-art methods. This work is supported by the National Key Research and Development Program of China (No. #2017YFB0203201) and Australian Research Council Discovery Project DP150104871.